A year ago, the ski jump bustled with activity at the Sochi Olympics as the world's best ski jumpers — including women, for the first time — competed for gold. But it made some unwanted history as well, becoming a stark symbol of how some of the plans for President Vladimir Putin's $51 billion Winter Games went terribly wrong. The ski jump sits shrouded in mist, its coat of snow undisturbed by any athletes hurtling down the ramp to take off into the air. A year ago, the jump bustled with activity at the Sochi Olympics as the world's best ski jumpers — including women, for the first time — competed for gold. But it made some unwanted history as well, becoming a stark symbol of how some of the plans for President Vladimir Putin's $51 billion Winter Games went terribly wrong. The cost of the facility soared during construction from $40 million to nearly $300 million. The overrun embarrassed the Kremlin, which publicly shamed the businessman involved, and he fled the country in the face of a corruption investigation. Russia had vowed to pay for what became the most expensive Olympics of all time by getting super-rich private investors to take the cost from the state. Instead, as the first anniversary of those games approaches, at least two of those oligarchs are quietly dumping their increasingly toxic assets on the state — forcing Russian taxpayers to pick up the bill. For the oligarchs, it's a way to recoup billions of dollars as they struggle in an economy battered by plunging oil prices and Western sanctions. For Putin's critics, it's evidence of the crony capitalism that shields Russia's rich and powerful businessmen from economic pain. Two key investors have unloaded properties built for the Olympics at a combined cost of $3 billion, a spokesman to Russia's deputy prime minister confirmed to The Associated Press. The issue is a major headache for Putin, who needs to pay off the oligarchs to keep them happy, while preventing the murky deals from triggering a wave of popular unrest. In addition, other oligarchs may now be waiting for the right moment to demand their reward or compensation for coming to the government's rescue by taking on what became unprofitable Sochi projects. "They don't have any good options here," Sam Greene, director of King's Russia Institute at King's College London, said of the Kremlin. "They either have to take the public hit, or they have to take the opposition of the oligarchs." For now, Greene said it appears that Putin is opting for coddling the oligarchs. Sberbank, which is Russia's largest bank and is run by close Putin ally German Gref, stepped in to buy the ski jump and ski resort at the government's request. It took out a $1.7 billion loan to fund more than 70 per cent of the infrastructure project. Today, the project loses money and the bank remains saddled with the massive debt. For Sberbank, the solution has been to obtain Kremlin authorization to swap its Olympic project, which cost nearly $2.7 billion at the time, for the Sochi Games' media centre, which was owned by the regional government. Ilya Dzhus, a spokesman for Deputy Prime Minister Dmitry Kozak, confirmed the deal to the AP. It's not clear how much the media centre — similar to a large convention complex — would fetch if sold on the market. 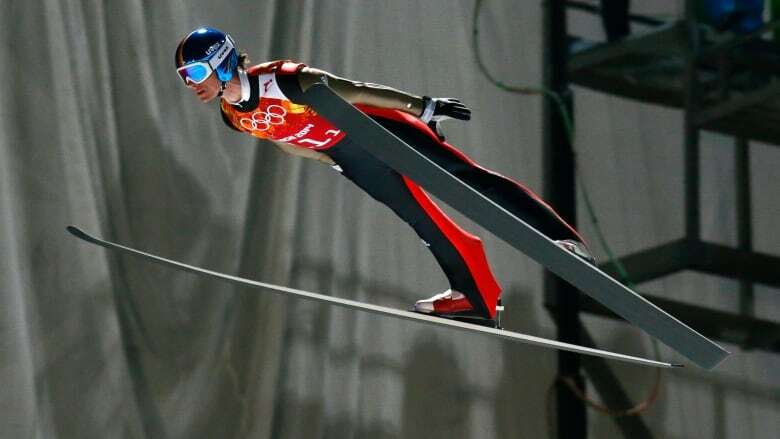 But the key to the deal is that by giving the ski jump, which is still used by the Russian national team, and the ski resort to the regional government, Sberbank is washing its hands of the $1.7 billion loan. "Giving away assets ... is a way to cut costs in a crisis situation," Mikhail Kasyanov, Russia's prime minister from 2000-2004, said in an interview. According to Kasyanov, their thinking goes: "I'd rather lose what I have invested, my own 15-30 per cent, but I would not have to pay out the rest in loans." In another Sochi project, Viktor Vekselberg — estimated by Forbes magazine to be Russia's third-richest man — invested half a billion dollars to build two giant hotels next to the Olympic Park. With the hotel market saturated in Sochi, Vekselberg decided to hand over one hotel to the state. That amounts to dumping the $450 million loan he took out from VEB bank — which covered 90 per cent of the cost of the two hotels — onto the state as well. Meanwhile, residents of Sochi — long a resort destination for Russian vacationers — have seen few economic benefits from hosting the Olympics. Promises that the games would solve perennial problems such as poor transportation and electricity remain unfulfilled one year afterward. A much-touted $8.5 billion rail link between the Black Sea coast and the mountains is all but suspended. A dispute between the local administration and the monopoly Russian Railways over who will pay for the costly maintenance of the Olympics' most expensive project has threatened to shut it down.